Titanium is often characterized as a “challenging workpiece material.” Certainly, machining this material is a challenge to milling machines, cutting tools and work holding accessories that are suitable for machining more common materials such as mild steel, cast iron or aluminum. With appropriate machines, cutters and related equipment, however, machining titanium can be a successful and profitable operation for the knowledgeable and committed machine shop. The key is understanding the nature of titanium and the somewhat complex interactions among the components of the machining system that titanium calls for. Examining one end mill family specifically designed and engineered for titanium milling brings out many of these interactions. 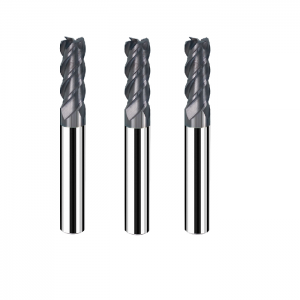 That is, the features and characteristics of these end mills reflect the implications of a complete system optimized for titanium machining. 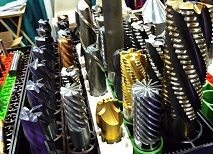 This representative end mill family is VariMill II. It is the five-flute expansion of the original four-flute VariMiIl, hence the II. The five flutes are unequally spaced. ER stands for eccentric relief—the version of this end mill that is best-suited for titanium because the eccentric relief gives the cutting edges extra strength for the high feeds at relatively low rpms that titanium requires. 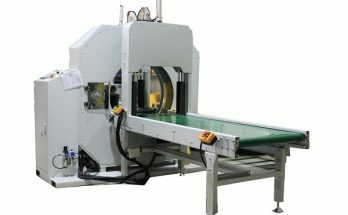 Though primarily designed for roughing and finishing applications in titanium aerospace parts, it can be used for slotting, ramping and plunging of titanium and stainless steel in virtually any industry.